I knew I had to play off of them some how to tie them to the rest of the room so I began googling images of copper back splashes to give me ideas for a headboard. Don't like the copper, but like the concept? 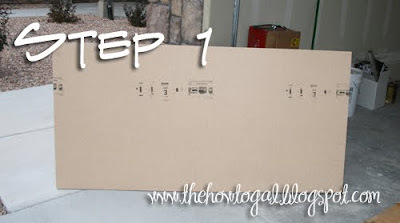 Let me show you how to make your own headboard out of nothing more than plywood and paper. Sand the edges of the plywood to smooth it...remember this part will still be visible from the side of your bed. Paint around the edges of the plywood a color to match your room. 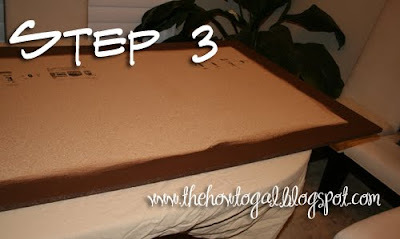 You can skip this step if you intend to cover the edges with paper as well. Cut your paper into random shapes and sizes. 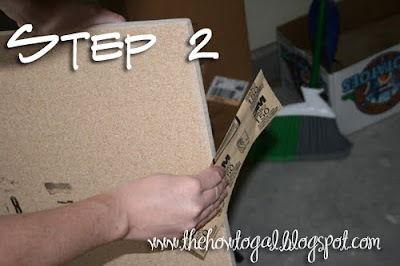 Spray your board with the spray adhesive and firmly press the pieces into place. This part works much easier if you have an idea of how this will look. 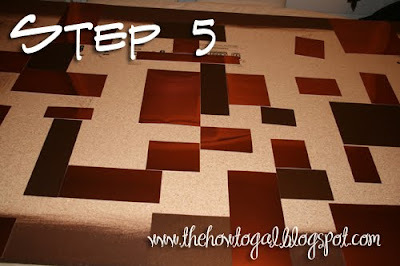 You will want to place your pieces quickly before the glue dries to ensure a secure hold. I chose to do this as randomly as possible to make it look like my inspirational image. Let the pieces dry overnight and then hang behind your bed! 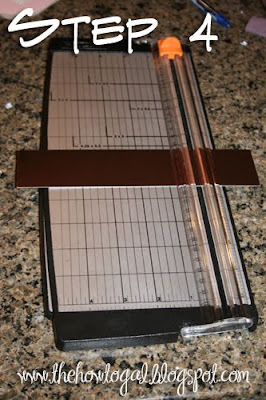 Updated: I'm linking this post to Kimba's "Do It Yourself Day" blog party. Stop by and check out all of the fun DIY projects! Wow! Anna Rose! That looks so amazing. I am extremely, extremely impressed! Cool headboard! Love the step by steps you provide. I came over from 320 Sycamore to see your mouse pad. Love it! Can't wait to look through some more of your blog. Nice to meet you How-to Gal!! I love your headboard idea and taking a glance at the "you might also likes" I can tell you have some really cool projects going on!! I'm going to have to stay and visit a while. Thanks for the link!! What a neat idea- it turned out great! I Love that baby E is on your before pic!! LOVE this!! So unique AND easy to do.